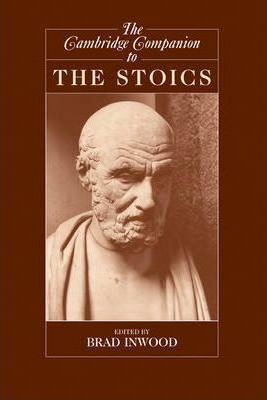 Introduction: Stoicism: an intellectual odyssey Brad Inwood; 1. The school, from Zeno to Arius Didymus David Sedley; 2. The school in the Roman imperial period Christopher Gill; 3. Stoic epistemology R. J. Hankinson; 4. Stoic logic Susanne Bobzien; 5. Stoic natural philosophy (physics and cosmology) Michael J. White; 6. Stoic theology Keimpe Algra; 7. Stoic determinism Dorothea Frede; 8. Stoic metaphysics Jacques Brunschwig; 9. Stoic ethics Malcolm Schofield; 10. Stoic moral psychology Tad Brennan; 11. Stoicism and medicine R. J. Hankinson; 12. The stoic contribution to traditional grammar David Blank and Catherine Atherton; 13. The stoics and the astronomical sciences Alexander Jones; 14. Stoic naturalism and its critics T. H. Irwin; 15. Stoicism in the philosophical tradition: Spinoza, Lipsius, Butler A. A. Long.